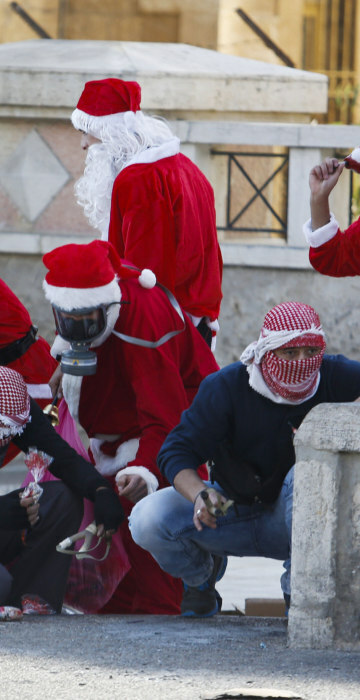 Palestinians were dressed as Santa Claus as they clashed with Israeli soldiers near the controversial separation wall in the West Bank. 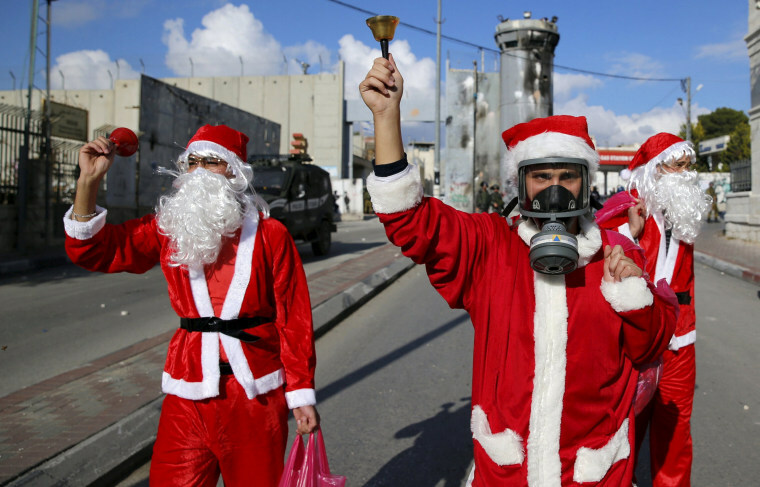 Palestinian protesters wearing Santa Claus costumes take part in an anti-Israel protest in front of the Israeli barrier in the West Bank city of Bethlehem on Dec. 18, 2015. 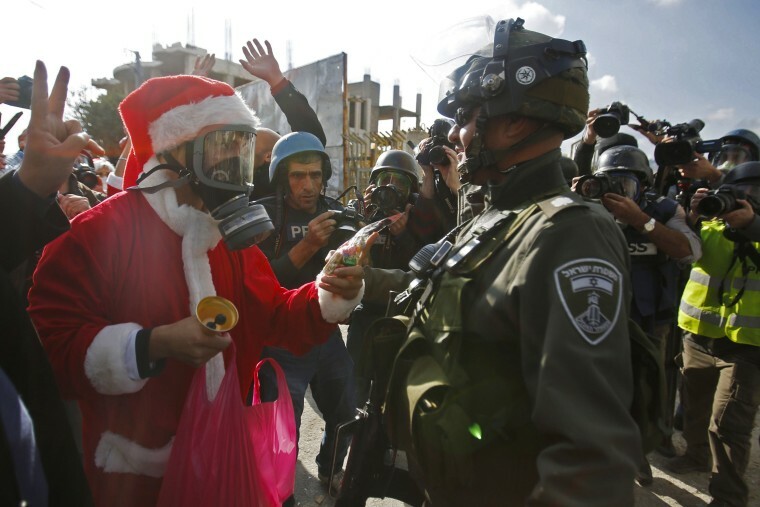 A demonstrator dressed as Santa offers candy to Israeli border police. 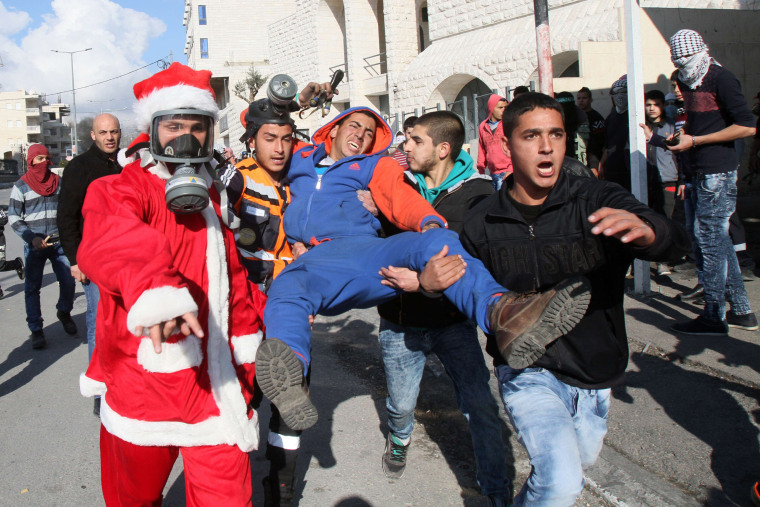 Palestinians evacuate a protester who was wounded during clashes. 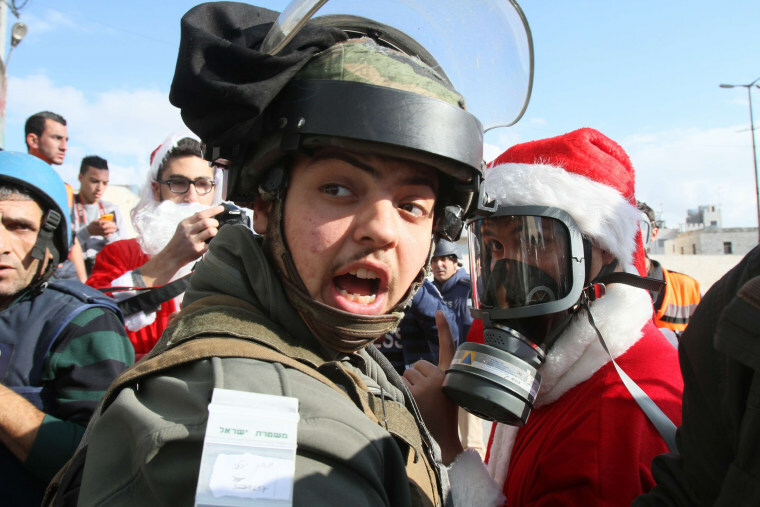 A Palestinian dressed as Santa Claus talks to an Israeli soldier during the demonstration. 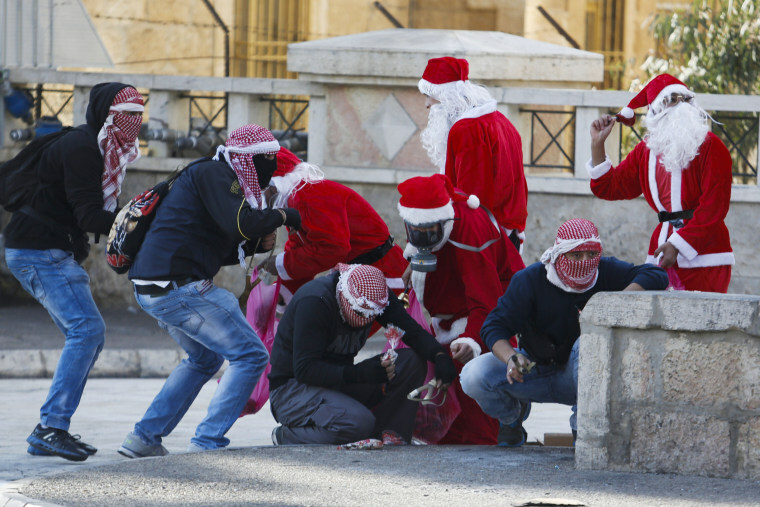 Palestinian demonstrators dressed as Santa Claus take cover during clashes with Israeli troops. 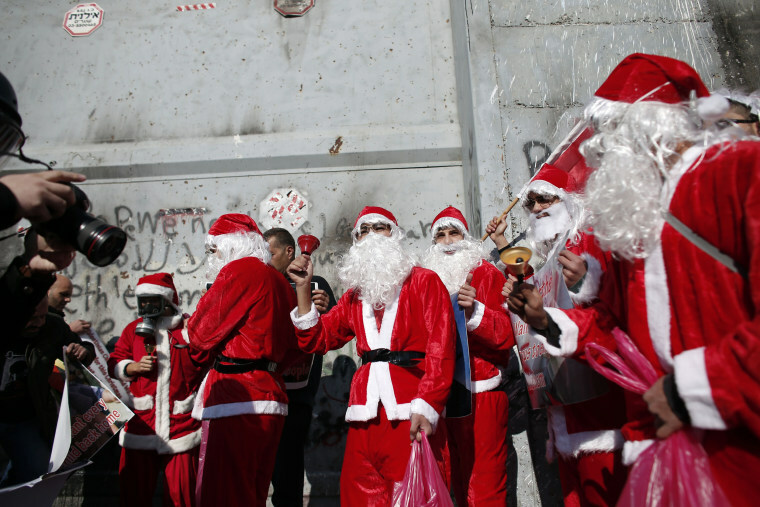 Palestinians dressed as Santa demonstrate in front of the controversial Israeli separation wall in Bethlehem. 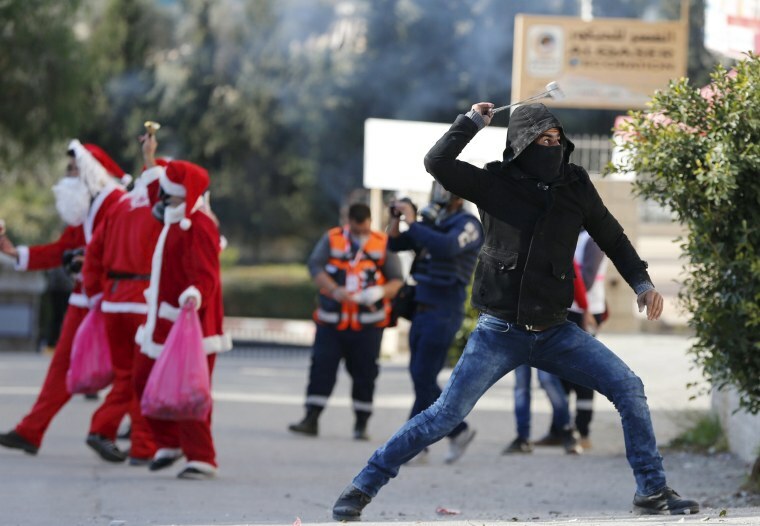 A Palestinian protester uses a sling to hurl stones towards Israeli troops. 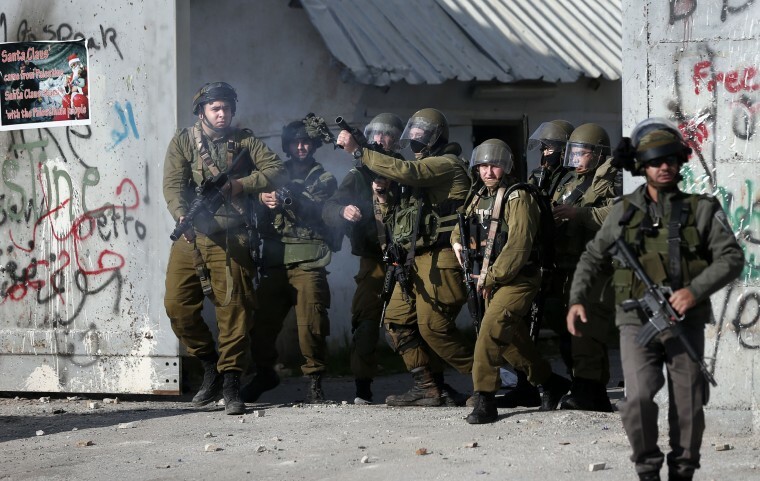 Israeli security forces advance towards Palestinian stone throwers. 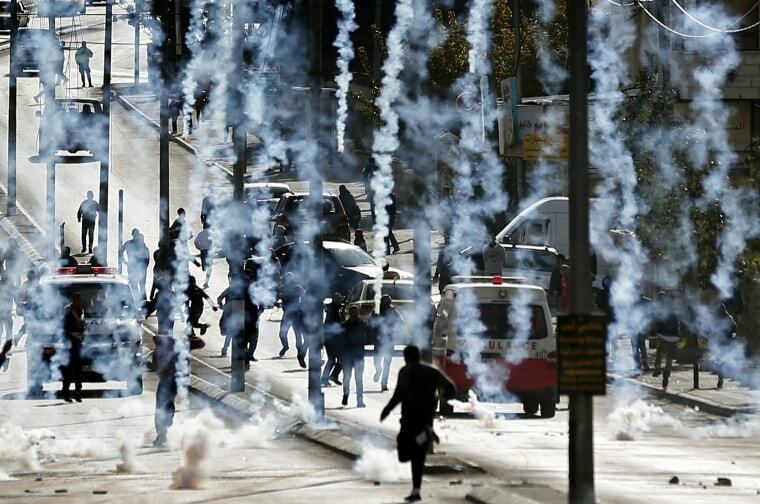 Palestinian stone throwers run to take cover after Israeli security forces fired tear gas canisters. A campaign of stabbings, shootings and car-rammings by Palestinians has killed 19 Israelis and a U.S. citizen since October. Israeli forces or armed civilians have killed at least 115 Palestinians, 69 of whom authorities described as assailants.